This article takes a look at the impressive advancements that were made in ancient India in the field of mathematics, and how far back in time it goes. It narrates about the great mathematicians of India and the developments they made, and the invention of zero and their numerical system and how it traveled around the world, later becoming known as Arabic numerals. It also describes Shulba Sutras and other ancient texts which contained the mathematical formulas that were used for the great architecture of ancient India, and paved the way for the early development of algebra and geometry in ancient India. The numeral script from India is one of the greatest contributions to the world. The Greek alphabet, for example, was a great hindrance to calculating. The Egyptians also did not have a numerical system suitable for large calculations, in fact it was a hindrance. For the number 986 they had to use 23 symbols. Even after the Greeks, the Romans also were in want of a system of numbers for mathematical calculations. China’s pictorial script was also not ideal for such calculations. Actually, the mathematical systems of the Egyptians, Babylonians, Romans, and even the Chinese, all using independent symbols, had advanced as much as they could until they received help from the numeral system from India. Only after they adopted the Indian system that was called Arabic numerals did they find what they needed. The work of the Greek mathematicians Euclid and Archimedes helped bring about many new perspectives and insights, but later Carl Friedrich Gauss, the prince of mathematics, was said to have lamented how much more advanced science would have been if Archimedes in the third century BCE had not failed to foresee the advanced nature of the Indian system of numeration. Pierre Laplace, one of the world’s greatest mathematicians from France, wrote: It is India that gave us the ingenious method of expressing all numbers by ten symbols, each symbol receiving a value of position, as well as an absolute value. We shall appreciate the grandeur of this achievement when we remember that it escaped the genius of Archimedes and Appolonius. It was the Indian numerical system that finally set free the other forms of mathematics. By 500 CE, mathematicians of India had solved the problems that baffled the world’s greatest scholars of all time. In History of Sanskrit Literature (page 424), Professor MacDonnell writes, There is in the first place, the great fact that the Indians invented the numerical figures used all over the world. Brian Clegg, in The Quest to Think the Unthinkable (pages 54-60), mentions, the characters we use for the numbers arrived here from India via the Arabic world. Leonardo of Pisa, known by his nickname of Fibonacci, commented in his book Liberabaci, written in 1202, that he was introduced to the art of India’s nine symbols, and it was this book that really brought the Vedic system of numbers to the West. The numerical system of India spread to Arabia through traders and merchants, and from there up into Europe and elsewhere. It became known as the Arabic numerals, yet the Arabians had called them Indian figures (Al Arqan Al Hindu) and the system of math was known as hindisat, or the Indian art. This development obviously took much time and imagination, and a great ability for abstract thinking. The one thing that made this possible was that it came from an atmosphere within the Vedic civilization that provided for much mystical, philosophical, cosmological, and metaphysical appreciation. The point is that, as with Sanskrit, the study of numbers and mathematical research was developed with a combination or along side the metaphysical and spiritual insights and realizations of the time. This provided for the broad-mindedness that was necessary to evolve the developments for which India became known. They were not restricted by any narrow view of the world or particular cosmology or spiritual identity that limited much of the rest of the planet. They had been a culture that always looked at a wide variety of views, open to what possibilities humanity could arrive at, based primarily on the spiritual philosophy of its culture. In fact, so deeply has this been ingrained in the culture that you can see this aspect in all other areas of study within Vedic culture and the civilization that arose from it. This itself is probably the greatest contribution to humanity, of which the world has never seen since, or in any other part of it. We can safely say, after much study on this, that the area of India was indeed the center for most civilizational development of the time. One example is that recent evidence of geometrical drawing instruments from as early as 2500 BCE have been found in the Indus Valley. Weights and measures and scales with decimal divisions have been found from that early period, all of which are still quite accurate. From the numerical system came the means to develop a highly sophisticated mathematical system. Time and time again we have seen that many of the inventions we enjoy today are because of the developments that took place in ancient India. But how many times is this overlooked or underestimated, negated, or even distorted to the point where credit is given to someone else from some other place? In fact, Dr. David Gray, in his book Science and Mathematics in India, writes: The study of mathematics in the West has long been characterized by a certain ethnocentric bias, a bias which most often manifests not in explicit racism, but in a tendency toward undermining or eliding the real contributions made by non-Western civilizations. The debt owed by the West to other civilizations, and to India in particular, go back to the earliest epoch of the Western scientific tradition, the age of the classical Greeks, and continued up until the dawn of the modern era, the renaissance, when Europe was awakening from its dark ages. . . The role played by India in the development (of the scientific revolution in Europe) is no mere footnote, easily and inconsequentially swept under the rug of Eurocentric bias. To do so is to distort history, and to deny India one of its greatest contributions to world civilization. Therefore, it is time, as we proceed to view the historical and chronological order of developments from India, that we give credit where credit is due. For example, Mrs. Manning writes in her Ancient and Mediaeval India, (Volume I, page 374-5): Hindus were peculiarly strong in all the branches of Arithmetic. . . The Arabs were not in general inventors but recipients. Subsequent observation has confirmed this view; for not only did algebra in an advanced state exist in India prior to the earliest disclosure of it by the Arabians to modern Europe, but the names by which the numerals have become known to us are of Sanskrit origin. Even Professor Monier Williams relates in his Indian Wisdom (page 185): To the Hindus is due the invention of algebra and geometry and their application to astronomy. When comparing the Hindus and Greeks as regards to their knowledge of mathematics, Sir Mountstuart Elphinstone explains in History of India: There is no question of the superiority of the Hindus over their rivals in the perfection to which they brought the science. Not only is Aryabhatta superior to Diaphantus (as is shown by his knowledge of the resolution of equations involving several unknown quantities, and in general method of resolving all indeterminate problems of at least the first degree), but he and his successors press hard upon the discoveries of algebraists who lived almost in our own time. A. L. Basham, who everyone knows as a writer on ancient India, writes in his The Wonder That was India: Medieval Indian mathematicians, such as Brahmagupta (seventh century), Mahavira (ninth century), and Bhaskara (twelfth century), made several discoveries which in Europe were not known until the Renaissance or later. They understood the import of positive and negative quantities, evolved sound systems of extracting square and cube roots, and could solve quadratic and certain types of indeterminate equations. Furthermore, B. B. Dutt explained in his article The Modern Way to Express Numerals (as appeared in Indian Historical Quarterly, Issue 3, pp. 530-540): The Hindus had adopted the decimal system a long time back. The numerical language of no other country had been able to achieve or acquire the scientific caliber and the completeness that ancient India had. The ancient Indians had achieved success in expressing any number beautifully and easily with the help of only ten symbols. The beauty of Hindu numeral markings attracted the civilized world and they gladly adopted it. . . These numerals slowly reached the west via north Arabia and Egypt and by the 11th century reached Europe. The Europeans called them Arabic numerals because they got them from Arabia, but the Arabs themselves unanimously called them Hindu numerals (Al-Arkan, Al-Hindu). Professor Ginsberg further explains this in his article New Light on Our Numerals (as published in The Bulletin of the American Mathematical Society, pp. 366-69): AIn around 770 AD, Abba Sayeed Khalifa Al-Munsur of Baghdad had invited the famous Hindu scholar Kank of Ujjain to the famous court of Baghdad. Kank taught Hindu astrology and mathematics to the Arab scholars. With Kank’s help, they even translated Brahmagupta’s Brahma Sphut Siddhant into Arabic. French scholar M. F. Nau’s latest discovery proves that Indian numerals were known in Syria in the 7th century and were also praised. What many people do not realize is that ancient India is the father of the great mathematical developments. What we enjoy today has come, primarily, from the early accomplishments that came out of the Vedic civilization. The difference in the systems of math in other parts of the world and what we find in the Vedic tradition is that Vedic mathematics had developed the system of tens, hundreds, thousands, etc., and the basis of carrying the remainder of one column of numbers over to the next. This made for easy calculations of large numbers that was nearly impossible in other systems, as found with the Greeks, Romans, Egyptians and even Chinese. The Vedic system had also invented the zero, which has been called one of the greatest developments in the history of mathematics. Much of the world, when we look at its history, does indeed acknowledge the advancements of ancient India. For example, the oldest European book on mathematics is known as Coda Vigilanus, which can be found in the Museum in Madrid. Therein it says, From the signs of counting (numerals), we experience that the ancient Hindus had very sharp brains and that the other countries were much behind them in counting and in geometry and other sciences. This is proved by their nine numerals with the help of which any number can be written. This is very much like the quote from Albert Einstein who once mentioned that we should be thankful to India, who taught us how to count. Bharti Krishna Teerthaji, the Sankaracharya of Puri, mentions in the foreword of his book Vedic Mathematics (p. xviii) other scholars who have recognized the value of India’s contribution to the world of mathematics: It gives me great pleasure to say that some well known modern mathematicians like Prof. G. P. Halstand, Prof. D. Morgan and Prof. Hutton, who are researchers and lovers of truth have, in contrast to Indian scholars, adopted a scientific outlook and have wholeheartedly praised India’s unique contribution to the progress of mathematical knowledge. In this light, Prof. G. P. Halstand says, in his book The Foundation and Process of Mathematics (p. 20), The significance or importance of the discovery of the zero can never be explained. Giving not just a name but authority, in fact, power to >nothing,= is the characteristic of the Hindu community, whose invention it is. It is like giving the power of the dynamo to nirvana or salvation. No other single mathematical invention has been more effective than this in the general development or progress of intelligence and power. Finally it all came to pass as though across the ages and the civilizations, the human mind had tried all the possible solutions to the problem of writing numbers, before universally adopting the one which seemed the most abstract, the most perfected and the most effective of all. …The measure of genius of the Indian civilization, to which we owe our modern system, is all the greater in that it was the only one in all history to have achieved this triumph. In this way, Vedic mathematics is another example of India’s contribution to world progress. It is an ancient development that continues to play an important part in modern society. Without the advancements in math that had been established by Vedic culture as far back as 2500 BCE and passed along to others, we would not have many of the developments and inventions that we enjoy and take for granted today. It was the Shulba Sutras that recorded the basis of these geometrical formulas used for the Vedic temples and altars. For example, it explains how to make a square of the same area as that of a triangle, a circle of the same area as that of a square, and make a circle double, triple or one third of the area of a square. Bhaskaracharya’s Lilavati tells us that an arm of an equal tetragon, pentagon, hexagon, octagon in a circle, is in definite proportions to the diameter of the circle. The Shulba Sutras preserved the constructional measurements and different geometrical shapes for the altars and arenas used for the religious rituals. The Vedic system of math, as explained in the sutras, also reduced the number of steps in calculations to merely a few that otherwise required many steps by conventional methods. Thus, this ancient science is still worthy of study today. Vedic culture already had an established mathematical system that had been recorded in the Shulba Sutras. These are known to date back to the 8th century BCE. However, new research by scholars now date them as far back as 3200 BCE. The name Shulba Sutras meant Acodes of rope. This was because such calculations were used for measuring precise distances for altars and temple structures by using lengths of rope. The Shulba Sutras were actually a portion of a larger text on mathematics known as the Kalpa Sutras. These and the Vedic mathematicians were recognized for their developments in arithmetic and algebra. Indians were the first to use letters of the alphabet to represent unknowns. But they were especially known for what they could do in geometry. Furthermore, what became known as the Pythagorean theorem was already existing in the Baudhayana, the earliest of the Shulba Sutras. This was presented by Pythagoras around 540 BCE after he discovered it in, what some say, his travels to India. So this shows the advanced nature of the Vedic civilization. The Shulba Sutras actually explain that they represent the premises that were taught in the Samhitas and Brahmanas, such as the Taittiriya Samhita and the Shatapatha Brahmana. They were not presenting something new or original. They were but compilations of formulas for the construction of altars in various shapes, each shape depending on the need required by the ritual. Some of these shapes could be square, circular, trapezoid, or falcon shaped. These formulas could and were also used for secular purposes as well, such as in architectural projects, the likes of which spread throughout India and were greatly advanced to the level of knowledge of the later invaders into the region. In 1978, Dr. Abraham Seidenberg, a professor of mathematics at the University of California in Berkeley, as noted in a paper called The Origin of Mathematics (p. 301, 1978) mentioned two different forms of mathematics, namely the algebraic and the geometric. Therein he explains, If it could be shown that each of these has a single source B and there are many rather familiar facts that suggest this is so B and if, moreover, in both cases the sources turn out to be the same, it would be plausible to claim we have found the unique origin of mathematics. He concluded, Old Babylonia (1700 BC) got the theorem of Pythagoras from India, or both Old Babylonia and India got it from a third source. Now the Sanskrit scholars do not give me a date so far back as 1700 BC. Therefore, I postulate a pre-Old Babylonian (i.e. pre-1700 BC) source of the kind of geometric rituals we see preserved in the Shulba Sutras, or at least for the mathematics involved in these rituals. In this paper, Seidenberg established that the Shulba Sutras were the basis for the mathematics in Egypt, Babylon, and Greece. Many years after the Shulba Sutras, Vedic mathematics enjoyed further development in the field of Jyotish, Vedic astronomy, which used all forms of math. Indian mathematicians continued creating systems that were not known in Europe until much later in the Renaissance period. For example, Aryabhata was one such mathematician. He is said to have been born in 476 CE and lived to 550 CE in Kusumapura in the Magadha empire not far away from the Nalanda University. There is some thought that he was also a chancellor at the university. Aryabhatta introduced sines and versed sines, and is credited as the inventor of algebra. His best known works are the Aryabhatiya, a compendium of mathematics and astronomy that survives to the present day, and the Arya-siddhanta. These works had dominated the field of astronomy for many years, and also many commentaries had been written on them, starting with Bhaskara’s commentary in 629 CE. His ideas had spread all over, even to include works in Tamil, Telugu and Malayalam. The calendar of India was based on the work of Aryabhata until the presence of the Gregorian calendar. It is said that while he did not use the zero, the knowledge of it was there as a place holder for the values of ten. He is said to be the first to state that the Earth rotates about its axis daily, and that the Earth travels around the sun. However, the ancient Vedic texts have described this many years earlier, which shows the wisdom of the early Vedic seers. This was not developed by the Greeks, but had been stated in the early Puranas. He also calculated the length of the year to be 365.258 days. He gave a close estimate of the size of the earth and stated that it also turns on its own axis, and that the planets were spherical. Varahamihira was another Indian mathematician and astronomer of the times (505-587), who lived in Ujjain. Tradition says that the title of Varaha before his name of Mihira was given to him by Vikramaditya, the King of Ujjain. That was because Mihira correctly predicted that the King’s son would die at the age of 18. His main work was Panchasiddhantika (Treatise on the Five Astronomical Canons), written around 575 CE. This provides information about older texts that are now lost, but also summarizes five earlier treatises, which include the Surya Siddhanta, Romaka Siddhanta, Paulisa Siddhanta, Vasishtha Siddhanta, and the Paitamaha Siddhanta. This covered Vedanga Jyotisha along with Hellenistic astronomy, which included Greek, Egyptian and Roman aspects. He also composed the Brihat-Samhita, which covered a wider range of topics, such as astrology, planetary movements, eclipses, architecture, agriculture, gems, domestic relations, clouds, rainfall, etc. According to the Surya Siddhanta, in every Mahayuga or Chaturyuga (every 4,320,000 years) there are slight differences in our perception of the motions of the planets which make it necessary to correct the astronomical texts to suit the altered conditions. Varahamihira did not include the foregoing Siddhantas since they belonged to the earlier Mahayugas. He only codified those Siddhantas which belonged to the present Mahayuga. Few are those who understand the differences in the planetary motions or positions from one Mahayuga to the next. Besides the Surya Siddhanta which is probably spoken about most often and is the oldest of the existing Siddhantas, there were a total of nine Siddhantas, the eight remaining of which include the Brahma Siddhanta, the Soma Siddhanta, Vrihaspati Siddhanta, Gargya Siddhanta, Narada Siddhanta, Parashara Siddhanta, Pulastya Siddhanta, and the Vashishta Siddhanta. Varahamihira was followed by Brahmagupta (7th century, 598-668 CE) who was the great mathematician and astronomer that especially developed the use of zero, and was the first to use algebra to solve problems in astronomy. He was the head of the astronomical observatory in Ujjain, which you can still see today. It was the Hindu ruler Sawai Raja Jai Singh (1724-1730) who built the astronomical observatories that are still quite accurate, called Jantar Mantar in the places of Delhi, Jaipur, Varanasi, Ujjain, and Mathura. Interestingly enough, I have been to all of them but the latter and they are all very interesting to view. Brahmagupta is said to be the founder of Numerical Analysis. He made several original contributions in algebra and trigonometry. His best known works include the Cadamekela, his most famous work the Brahmasphuta Siddhanta, the Khandakhadyaka, and the Durkeamynarda. The four fundamental mathematical operations (addition, subtraction, multiplication, and division) were known to many cultures long before Brahmagupta, such as the Sumerians as far back as 2500 BCE. However, the way we use them today with the Arabic numerals are first known to appear in his Brahmasphuta Siddhanta. The Brahmagupta-siddhanta was based mostly on the Aryabhatiya, and the Khandakhadyaka was like a simplified form of the Aryabhatiya. However, the latter book, in two parts, included a section on where Brahmagupta differed from Aryabhata. Nonetheless, both of his books were later translated into Arabic (Zij-al-Arkand and AZ-Zij Kandakatik al-arabi) by Persian scholar Al-Biruni. These were later translated into Latin in 1126 CE from the Arabic versions by Yaqub ibn Tariq. From there they entered into Europe along with its theories. Kapler’s theory of Parallax is a repeat of the Khanda-khadyaka. Brahmagupta also described the law of gravity more than 500 years before Newton. He related that all things fall to the earth by a law of nature, for it is the nature of the earth to attract and keep things. Then there was Bhaskara I (c. 600-c. 680) who was another mathematician who gave a unique commentary on Aryabhata’s main work, called the Aryabhatiyabhasya (written in 629 CE) with a most noteworthy approximation of the sine function. This is the oldest known work in Sanskrit on Vedic mathematics and astronomy. His other works include Mahabhaskariyam and Laghu Bhaskariyam. Next was Mahavira (9th century, 815 CE), an Indian Jain mathematician who made great strides in the use of fractions, permutations, and combinations, and figuring out how to divide one fraction by another. His best known written work was the Ganit Saar Sangraha. His writings were inspirational to other mathematicians since he expressed the subjects of Aryabhata and Brahmagupta in clearer terminology that became a standard after that. There was also the mathematician Sridharacharya in the latter half of the 10th century. He worked in the area of arithmetic, mensuration, and geometry, extraction of roots, cube roots, etc. He was the first to solve the quadratic equation in one variable. His work on arithmetic and geometric series became a standard reference work. Then there was Bhaskara II (12th century, 1114-1185), also called Bhaskaracharya, who made progress in spherical trigonometry and principles of calculus before Newton by 500 years. He used it to determine the daily motion of planets. He was called the greatest of the medieval mathematicians of India. His greatest work was the Siddhanta Shiromani (Sanskrit meaning ACrown of Treatises, written in 1150 when he was 36 years old) which is divided into four parts called Lilavati, Bijaganita, Grahaganita on mathematics of the planets, and Goladhyaya on astronomy. 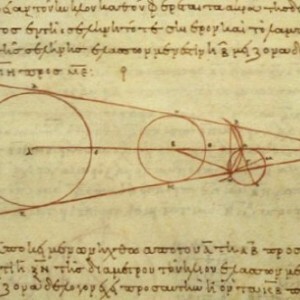 This covered arithmetic, algebra, trigonometry, and astronomy, and mathematics regarding planetary and spherical problems. Another important work by him was his Karnakutuhala. Madhava in Kerala developed a power series for arc tangents, apparently without calculus, which allowed the calculation of pi to any number of decimal places. It is not known whether he invented a system as good as calculus, or did it without calculus, but it is remarkable either way. Madhava’s famous works include Venvaroha, Laghu Prakarana, Sphuta Chandrapti (1400), Aganita (1418), Golavada, and Mahajyanayana Prakarana. The first two works gave solutions for the notoriously difficult problem of lunar motion. Later, astronomers gave him the title of Amaster of the sphere. Madhava also gave a more accurate value for the pi in the Bhuta Sankya notation at 3.14159265359. Jyesthadeva and others in their works (1530) gave credit to Madhava with the mathematical notation that only later became known as the Gregory series (1671) in England and as the Leibniz series in Germany. Other prominent mathematicians of this Kerala school include Jyeshthadevah who authored Yuktibhashah (1520); Putumana Somayaji, author of Karana Paddhati (1730); and Raja Sankara Varma, author of Sadratnamala. Such systems of mathematics as Algebra also had its beginning in India. With the time of the Shatapatha Brahmana known to be prior to the 6th century BCE, the time of geometric algebra in ancient India dates back well before 800 or 1000 BCE if not much before then. B. B. Dutta, in the Preface of his History of Hindu Mathematics, says: AThe use of symbols-letters of the alphabet to denote unknowns and equations are the foundations of the science of algebra. The Hindus were the first to make systematic use of the letters of the alphabet to denote unknowns. They were also the first to classify and make a detailed study of equations. Thus, they may be said to have given birth to the modern science of Algebra. The Arab scholar Moosa-al-Khawarizmi came to India in the 9th century to learn this system and wrote a book called Alijeb Oyal Muquabila. From this the knowledge of it traveled to Europe. We also know that in the Vedic culture, altars and temples were made based on mathematical formulas, which was the basis for the system of geometry. It is said that in at least 800 BCE Baudhayana and Apastambha gave the necessary architectural specifications for the construction of these altars and platforms. In this regard, there is probably no one who has written as clearly as A. L. Basham about the lofty and advanced nature of Vedic mathematics. AThrough the necessity of accurately laying out the open-air site of a sacrifice, Indians very early evolved a simple system of geometry, but in the sphere of practical knowledge the world owes most to India in the realm of mathematics, which were developed in Gupta times to a stage more advanced than that reached by any other nation of antiquity… While Greek mathematical science was largely based on mensuration and geometry, India transcended these conceptions quite early, and, with the aid of a simple numeral notation, devised a rudimentary algebra which allowed more complicated calculations than were possible to the Greeks, and led to the study of number for its own sake. A…For long it was thought that the decimal system of numerals was invented by the Arabs, but this is certainly not the case. The Arabs themselves called mathematics >the Indian (art)= (hindisat), and there is now no doubt that the decimal notation, with other mathematical lore, was learnt by the Muslim world either through merchants trading with the west coast of India, or through the Arabs who conquered Sind in A. D. 712. Geometry was a highly developed science in ancient India. The Vedas contain an important and necessary act of yajna [Vedic ritual]. The altars, their construction, and measurement involved deep and accurate knowledge of mathematics, particularly geometry. Trigonometry concepts, formulas, tables, etc., were also found in the old texts of the Surya Siddhanta, and Varahamihira’s Pancha Siddhanta, and Brahmagupta’s Brahma Sphuta Siddhanta. The antiquity of mathematics of ancient India is further expressed by Professor Wallace in Mill’s India (Vol. II, p. 150) wherein he says: AHowever ancient a book may be in which a system of trigonometry occurs, we may be assured it was not written in the infancy of the science. Geometry must have been known in India long before the writing of the Surya Siddhanta. This is corroborated in the early edition of the Edinburgh Encyclopedia on the section under Geometry (p. 191) where Professor Wallace is quoted: AThe researches of the learned have brought to light astronomical tables in India which must have been constructed by the principles of geometry, but the period at which they have been framed has by no means been completely ascertained. Some are of the opinion that they have been framed from observation made at a very remote period, not less than 3,000 years before the Christian era; and if this opinion be well founded, the science of geometry must have been cultivated in India to a considerable extent long before the period assigned to its origin in the West; so that many elementary propositions may have been brought from India to Greece. In Ancient and Medieval India (Vol. II, p. 375), Professor Monier Williams outrightly says: ATo the Hindus is due the invention of algebra and geometry and their application to astronomy. It should be obvious now that for years much of the world has thought that the advancements in mathematics came from the Arab countries, but nothing can be farther from the truth. They only inherited the advanced formulas from the Hindus, wrote about them, and then helped transfer them to Europe through Spain. Another very well researched online article, ANumbers: Their History and Meaning, concludes that the Indian system is the earliest form of mathematics that we use today. It explains: AIt is now universally accepted that our decimal numbers derive from forms, which were invented in India and transmitted via Arab culture to Europe, undergoing a number of changes on the way. We also know that several different ways of writing numbers evolved in India before it became possible for existing decimal numerals to be marred with the place-value principle of the Babylonians to give birth to the system which eventually became the one which we use today. ABecause of lack of authentic records, very little is known of the development of ancient Hindu mathematics. The earliest history is preserved in the 5000-year-old ruin of a city at Mohenjo Daro, located northeast of present-day Karachi in Pakistan. Evidence of wide streets, brick dwellings and apartment houses with tiled bathrooms, covered city drains, and community swimming pools, indicates a civilization as advanced as that found anywhere else in the ancient Orient. The reality and conclusion of this study is that the so-called AArab contribution to mathematics was substantially built on prior knowledge of the Hindus and the Greeks, and while the Greek influence and origins are frequently recognized, the Hindu contribution is very rarely acknowledged or mentioned. Further information is supplied by an Arab historian, Al-Qifti (1270 CE) who reported that in the year AH 146 (or 773 CE), a man well versed in astronomy by the name of Kanaka came to Baghdad on a diplomatic mission from Sindh in northern India, with 20 other scientists. He brought with him books like Surya Siddhanta and the works of Brahmagupta and Bhaskaracharya. Calif al-Munsur ordered that these books be translated into Arabic, after which a handbook should be produced for Arab astronomers outlining the principles in the books. The job was given to Al-Fazari, who made a text which was later known as the Great Sindhind. The word sindhind is said to come from the word Siddhanta, which meant an astronomical text. It was because of this text that al-Khwarizmi constructed his Zij. AThe modern period starts in India from the time of the Mahabharata war in 3138 B. C., thirty-six years before Kali Yuga that commenced in 3102 B. C. We find detailed information of the dynasties, including the names of the kings in each dynasty and the corresponding duration of their reign. At the end of the Mahabharata war, the victorious Yudhisthira of the Pandavas was crowned as the emperor of Bharat Varsha (Greater India) at Hastinapur. Thus, Yudhisthira Era began in 3138 B.C. The Sapta Rsi Era began in 3076 B.C. (26 Kali Era), which was the year of the demise of Yudhisthira, when Sapta Rsi Mandala (the Big Bear) left the star Magha. This era is also known as Laukikabda Era as well as Swargarohana (journey for emancipation) time of Yudhisthira. AIn the modern period of Bharat (India), Aryabhatta is the first famous mathematician and astronomer. In his book Aryabhattiyam, Aryabhatta clearly provides his birth date. In 10th stanza, he says that when 60 x 6 = 360 years elapsed in this Kali-Yuga, he was 23 years old. The stanza of the shloka starts with sastyabdanam sadbhiryada vyatitastra yashcha yuga padah. Sastyabdanam sadbhi means 60 x 6 = 360. While printing the manuscript, the word sadbhi was altered to shashti to imply 60 x 60 = 3600 years after Kali Era. As a result of this intentional arbitrary change, Aryabhatta’s birth time was fixed as 476 A.D. Since in every genuine manuscript, we find the word sadbhi and not the altered shashti, it is clear that Aryabhatta was 23 years old in 360 Kali Era or 2742 B.C. This implies that Aryabhatta was born in 337 Kali Era or 2765 B.C., and therefore could not have lived around 500 A.D., as manufactured by the Indologists to fit their invented framework. ABhaskara I is the earliest known commentator of Aryabhatta’s works. His exact time is not known except that he was in between Aryabhatta (2675 B.C.) and Varahamihira (123 B.C.). Bhaskara mentions the names of Latadeva, Nishanku and Panduranga Svami as disciples of Aryabhatta. Moreover, he says that Aryabhatta’s fame has crossed the bounds of the oceans and whose works lead to accurate results even after lapse of so much time. This shows that Bhaskara I was living quite a lot of time later than Aryabhatta. His works are Mahabhaskariyam, Aryabhatiya Bhashyam and Laghu Bhaskariyam. ANext is Varahamihira who says that he was writing his Pancha Siddhanta in the year 427 Shaka Kala. Since Shaka Kala or Shaka Era started in 550 B.C., it means that 550 – 427 = 123 B.C. Varahamihira also indicates how to find Shaka Kala in Brihat Samhita, which is equal to the Svargarohana time of Yudhisthira coupled with 2526 years, that is 3076 – 2526 = 550 B.C. Svargarohana time of Yudhisthira is 26 years after Kali Era and therefore 26 + 2526 = 2552 Kali Era as the starting point of Shaka Kala or Shaka Nripa Kala. Thus the Cyrus Era which was in vogue in Varahamihira’s time began in 550 B.C. ; and Cyrus Era was the Persian Shaka King. The special contribution of Varahamihira was Pancha Siddhanta in which he codified the then existing five Siddhantas, namely, Paulisha, Romasha, Vasishtha, Surya (Saura) and Pitamaha. In addition, he wrote the famous Brihat Samhita, the theoretical and predictive astrology. Only Surya Siddhanta has been preserved. Varahamihira quotes a tribute paid to a Yavana (not Greek) astronomer, by an early astronomer Garga, namely >the Yavanas are Mlechchas (people deviated from Sanatana Dharma) but amongst them this science of astronomy is duly established and therefore they are honored as Rsis.= Recall that there were Yavana kingdoms in South and Northwest of India even before Maurya Asoka’s time (1472 -1436 B.C.). At that time, there were no Greeks. This tribute to Yavanas has been misinterpreted by the orientalists to imply the influence of Greek astronomy on Indian astronomy in Garga’s time. Since Garga’s time was long before Varahamihira’s time and since Yavanas were not Greeks at that time, the conclusion of the influence of Greek astronomy on the astronomy of ancient India has no validity and is a clear fabrication. AAfter Bhaskara I, we have Brahmagupta, who is a great mathematician and astronomer. According to Brahmagupta, he completed his work Brahma Siddhanta when he was 30 years of age in 550 Shaka Kala. This means Brahmagupta was born in 30 B.C. 1. Niranjan Shah, Numerals is India’s Next Great Contribution, India Tribune, January 19, 2008. 2. Suresh Soni, India’s Glorious Scientific Tradition, Ocean Books Pvt. Ltd., New Delhi, 2010, pp. 81-82. 3. V. Lakshmikantham and J. Vasundhara Devi, The Origin and History of Mathematics, Indian Foundation for Vedic Science, Rohtak, Haryana, India, 2004, p. 59. 4. Seidenberg, The Ritual Origin of Geometry, 1962, p. 515. 5. N. Jha and N. S. Rajaram, The Deciphered Indus Script, Aditya Prakashan, New Delhi, 2000, pp. 43-45. 6. Pride of India: A Glimpse into India’s Scientific Heritage, Samskriti Bharati, New Delhi, 2006, pp. 60-61. 7. Science and Technology in Ancient India, by Editorial Board of Vijnan Bharati, Mumbai, August, 2002, p. 54. 8. V. Lakshmikantham and J. Vasundhara Devi, The Origin and History of Mathematics, Indian Foundation for Vedic Science, Rohtak, Haryana, India, 2004, p. 109. 9. Pride of India: A Glimpse into India’s Scientific Heritage, Samskriti Bharati, New Delhi, 2006, pp. 61-62. 11. V. Lakshmikantham and J. Vasundhara Devi, The Origin and History of Mathematics, Indian Foundation for Vedic Science, Rohtak, Haryana, India, 2004, pp. 92, 96, 98. 12. Science and Technology in Ancient India, by Editorial Board of Vijnan Bharati, Mumbai, August, 2002, p. 59. 14. L. A. Basham, The Wonder That was India, Grove Press, Inc., New York, 1954, pp. 494-5. 15. Pride of India: A Glimpse into India’s Scientific Heritage, Samskriti Bharati, New Delhi, 2006, p. 36. 20. B. V. Subbarayappa, Foreword, Science and Technology in Ancient India, by Editorial Board of Vijnan Bharati, Mumbai, August, 2002. 21. V. Lakshmikantham and J. Vasundhara Devi, The Origin and History of Mathematics, Indian Foundation for Vedic Science, Rohtak, Haryana, India, 2004, p. 58. 23. V. Lakshmikantham and J. Vasundhara Devi, The Origin and History of Mathematics, Indian Foundation for Vedic Science, Rohtak, Haryana, India, 2004, pp. 50-52.